Stage Door has been profiled in the October 14th edition of The Guardian newspaper. 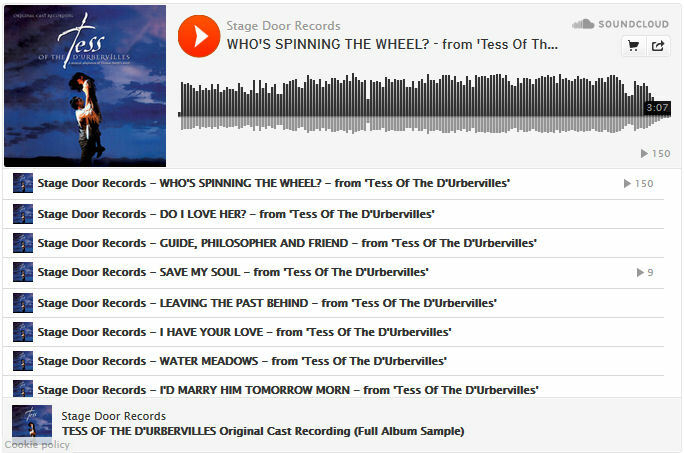 Journalist Andrew Male explores the background of the Stage Door record label and our focus on preserving forgotten West End theatre scores of the 20th century. The article features contributions from Jeff Wayne about 'Two Cities' and Tim Rice discussing 'Blondel'. The article also features 'Maddie', 'Jack The Ripper', 'Tess Of The D'Urbervilles', 'Out Of The Blue' and the 'Lost West End' series. We were thrilled to discover that 4 Stage Door releases have been short listed in the 2014 Broadway World Album Awards! Nominated in the BEST REMASTER RE-RELEASE category are 'Privates On Parade', 'Andy Capp' and 'Swan Esther'. 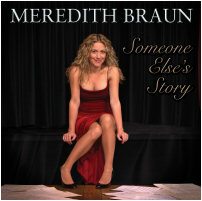 Also nominated in the FAVORITE ALL TIME SOLO ALBUM category is Meredith Braun's 2012 solo release 'Someone Else's Story'. Stage Door are thrilled to be releasing several London cast albums on CD throughout 2014! Early in 2013 we asked our Twitter followers what cast albums they most wanted to see reissued on CD and we were overwhelmed by the response. Your suggestions were both fascinating and wide ranging! Based on the results of the survey, we took steps to get in touch with various rights holders and are thrilled now to have several licenses in place for albums to be released across 2014. Our first CD release of 2014 will be the London cast recording of the award winning 'PRIVATES ON PARADE' from 1978 which will be released on January 27th, 2014. This will be shortly followed by a much loved 1980s London musical and a rare 1980s concept album featuring a glittering cast of West End performers, all of which have never been available on CD. We're also thrilled that all these albums will be digitally remastered from their original master tapes! We'd like to take this opportunity to thank our supporters who took the time to get in touch with suggestions for possible reissues. 2014 looks like it definitely will be the year of the cast recording! Be sure to follow us on Twitter (@stagedoorlondon) to be the first to hear about our forthcoming CD releases! Stage Door are proud to present the unreleased final studio album from legendary performer Anthony Newley. 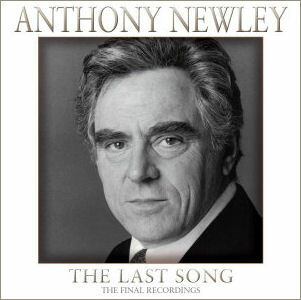 Newley's long awaited final studio recordings feature on THE LAST SONG, our second compilation of unreleased Newley tracks. The much anticipated CD was released on November 5th, 2012 and received praise from both the public and music critics. The album has subsequently been featured on BBC Radio 2 (The David Jacobs Collection, Elaine Paige On Sunday) and widely across the BBC regional network. STAGE DOOR RECORDS IN ASSOCIATION WITH DAVID ESSEX ARE PLEASED TO ANNOUNCE THE DIGITAL RELEASE OF SELECT THEATRICAL TITLES FROM DAVID ESSEX'S MUSICAL BACK CATALGOUE. On May 13th, 2012 the following titles will be made available for digital download on iTunes, Amazon, eMusic and other digital e-tailers in all worldwide territories. Following on from Stage Door's 2010 CD release of the 'Mutiny!' London cast album, we are now pleased to make this out of print title available again on download. 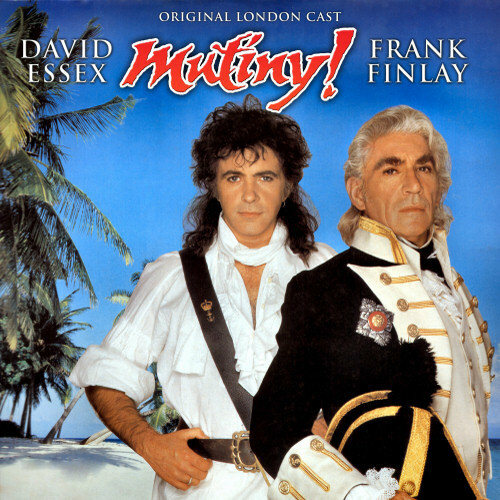 The London cast recording features David Essex, Frank Finlay and Sinitta. Originally released as a 12" EP of studio pop recordings from the 'Mutiny!' score. 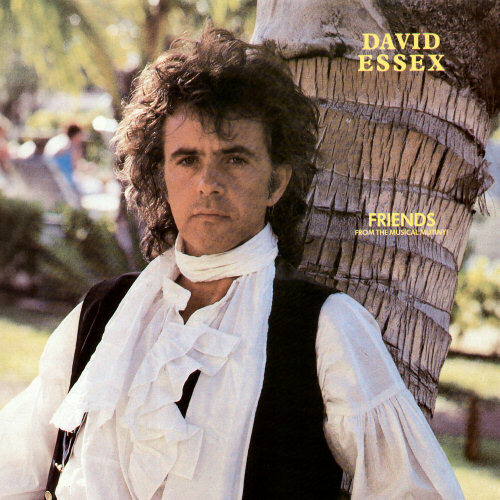 David Essex performs all five tracks on this EP of 'pop versions 'alternating to the London cast album. Released on digital for the first time. 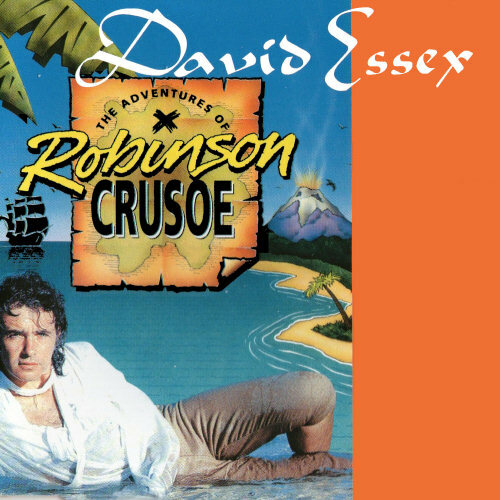 Throughout the 1990s David Essex performed his popular Christmas pantomime 'Robinson Crusoe' at theatres across the United Kingdom. This out of print 1996 EP features highlights from the show performed by Essex. 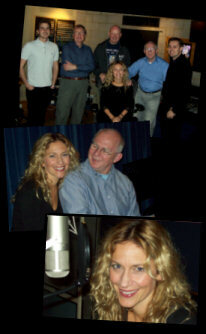 After a ten year absence, Meredith returns to performing with the release of her debut solo album on March 26th, 2012. 'Someone Else's Story' is a hand-picked collection of songs from contemporary musical theatre, each one of them telling a very personal story. Composers include Stephen Sondheim, Andrew Lloyd Webber, Michel Legrand, Claude Michel-Schonberg, Stiles and Drewe and Stephen Schwartz. Stage Door have just completed recording West End leading lady Meredith Braun's debut solo album at London's prestigious Angel Studios. Sessions took place in Studio 2 between September 19th - 21st, 2011 and featured musical direction and arrangements by Paul Bateman. The album will be titled 'Someone Else's Story' and features material by Stephen Sondheim, Stiles & Drewe, Andrew Lloyd Webber, Stephen Schwartz and more! The album is scheduled to be released by Stage Door in March 2012. Watch this space for further updates! Star of the West End Meredith Braun launches new website and announces debut solo album. New Zealand born Meredith Braun created the role of Betty Schaefer in Andrew Lloyd Webber's Sunset Boulevard and starred in Les Miserables, The Phantom Of The Opera and originated roles in Out Of The Blue, Bernadette and Killing Rasputin. Her last West End role was as Lily in the RSC's production of The Secret Garden in 2001. 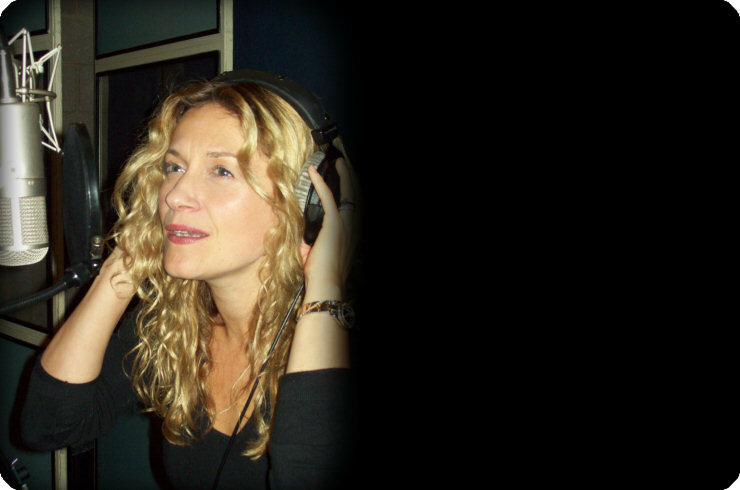 After a ten year absence from the West End stage, Meredith is back in the studio recording her debut solo album Someone Else's Story due for release on Stage Door in early 2012. Keep checking back for regular updates about Meredith's new album or sign up to her mailing list. To commemorate the tenth anniversary of Steve Barton's passing on July 21st, 2011, Stage Door Records have collaborated with his wife Denny Berry to develop an online memorial tribute to Barton and his contribution to musical theatre. The tribute features memories from those Steve was close to, both professionally and personally.